The Michigan Senate July 1 approved a plan to increase the state gas tax by 15 cents-per-gallon—implemented gradually over three years—and redirect revenue from the general fund to generate $1.5 billion per year in transportation funding. 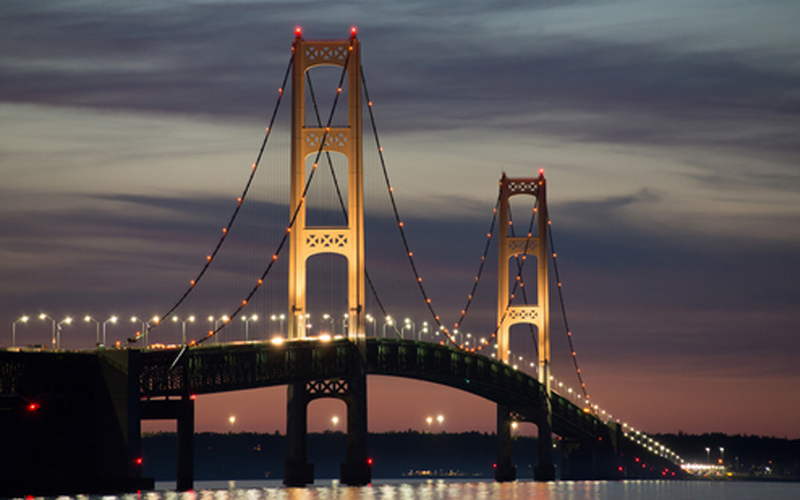 The legislative effort comes two months after Michigan voters rejected a plan that would have resulted in an annual increase of $1.2 billion for highway and bridge investment and $130 million for transit and rail improvements. The Senate proposal increases the diesel tax, provides a new surcharge on hybrid and electric vehicles, and indexes the motor fuel tax rate annually to inflation. If signed into law, a transportation fund ‘lockbox’ would be formed in order to protect the new increase from being diverted to other purposes. The Senate proposal includes a personal income tax reduction in 2018 if general fund revenue growth exceeds inflation. But a condition in the bill to eliminate the state’s earned income tax credit has generated protest among some lawmakers and outside groups as unfairly penalizing Michigan’s working poor. Additionally, a provision included in the legislation would eliminate the gas tax on January 1, 2033 if lawmakers do not take action to make the fuel tax rates permanent. The Senate split 19-19 on a key bill, with Lt. Gov. Brian Calley (R) breaking the tie to advance the package. The bill was largely supported by Senate Republicans, with only one Democrat, state Sen. Virgil Smith of Detroit, voting in favor. The package will now be sent to the House for review of the amendments. In order to increase much-needed transportation revenue for Michigan, the state House and Senate will need to reach a compromise between their two funding packages. Read the fiscal analysis of the package.